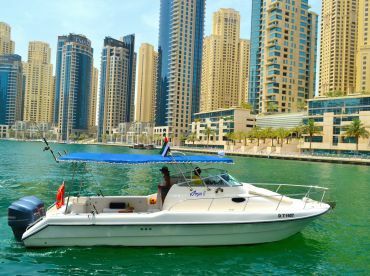 Deep sea fishing is one of the most popular outdoor activities in Dubai. 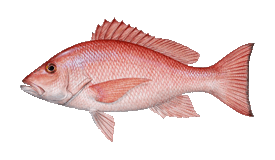 This technique includes both trolling and bottom fishing, typically 16-20 (sometimes up to 40) miles offshore. 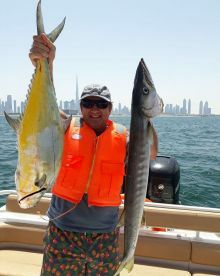 While deep sea fishing Dubai, you can target large Barracuda, Kingfish, Queenfish, Tuna, Giant Trevally, and a variety of bottom fish. 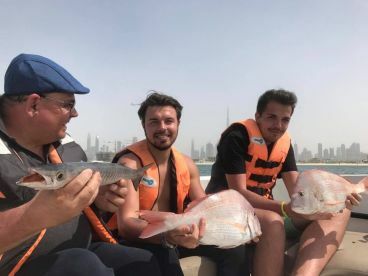 October to May is generally the best time to go deep sea fishing in Dubai. 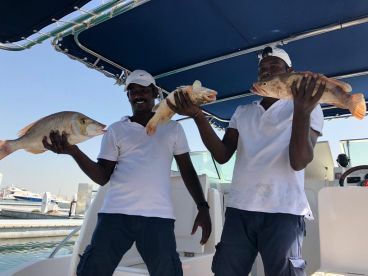 During this period you are likely to catch Kingfish, Queenfish, Emperor Bream, Golden Threadfin Bream (Sultan Ibrahim), and Orange Spotted Grouper (Hamour). Hamour is most active from January to April. 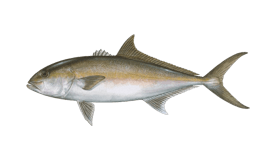 You will find Cobia in these waters during the winter months, mainly from November to March. 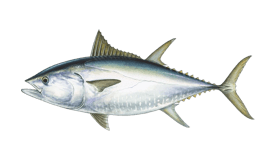 Your chances of catching Bluefin Tuna and Trevally are best in January, and again in April or May. 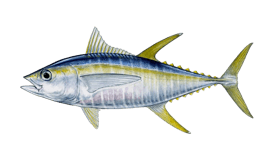 Yellowfin Tuna may be caught between May and September. Meanwhile, you can catch Barracuda, Snapper, and Catfish all year. 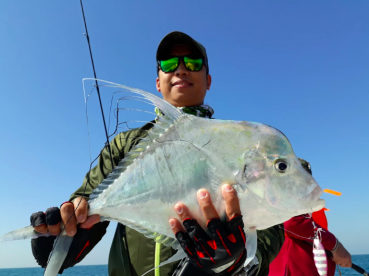 You can bottom fish for Snapper, Grouper, Emperor Bream, Golden Threadfin Bream, and other bottom dwellers with standard rods and reels or handlines. Some anglers include jigging, depending on the species. 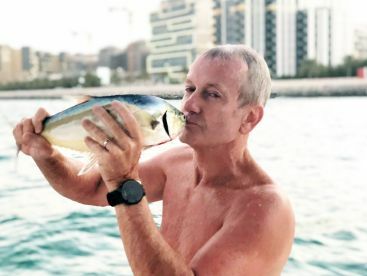 The local bait of choice is usually small shrimp and squid. Local fishermen target large species such as Kingfish, Queenfish, Cobia, and Tuna by trolling. Mock fish lures are recommended for this method. 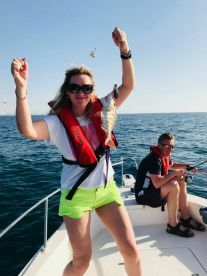 Many deep sea fishing charters in Dubai combine trolling and bottom fishing (sometimes referred to as “trolling and deep sea fishing”).